The CBI commented on the Government’s formal response to the recent report from the Commission on Banking Standards. 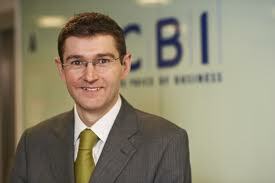 Matthew Fell, CBI Director for Competitive Markets, said: “Britain needs a healthy and sustainable banking system to help drive our economy, so putting the customer front and centre, and boosting competition, is the best way to rebuild public confidence. “The Chancellor has rightly kept the emphasis on lifting culture and standards through strong individual accountability and robust corporate governance. An extended licensing regime, aligning pay with long-term performance and enforcing the tough sanctions that already exist for those who step out of line, can only help make this a reality.